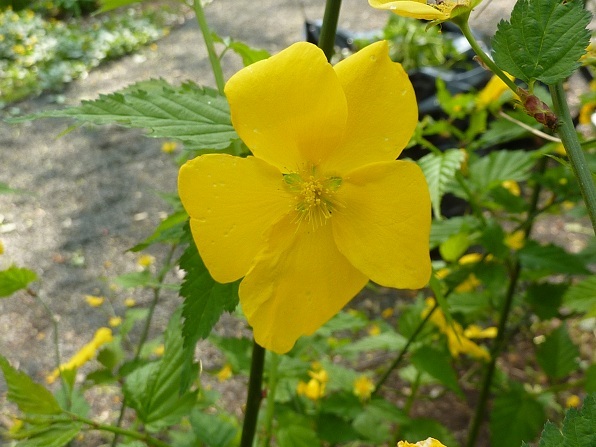 Kerria japonica is grown for its buttercup yellow blossoms strung along Kelly green cascading stems. It lights up the mid-spring garden. Kerria matures to a height of 5 to 8 feet with a spread of 6-9 feet. 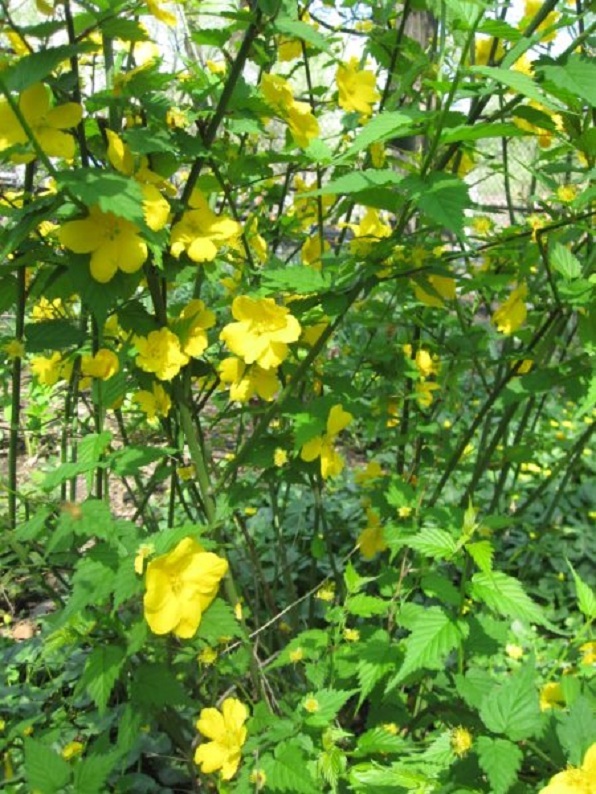 Kerria is one of a few flowering shrubs preferring a shady habitat. The shrub blends nicely with azaleas, rhododendrons, ferns and small trees such as dogwood and redbud. The sunburst yellow flowers explode against the white flowers of daphnes, azaleas, snowdrops, and hellebores. Kerria is a low maintenance shrub. For a fuller shrub with more flowering, some gardeners prune stems to the ground every few years. The shrub has adapted well to drought conditions.